In this review, we are going to tackle an established market maker and a newcomer to the industry. 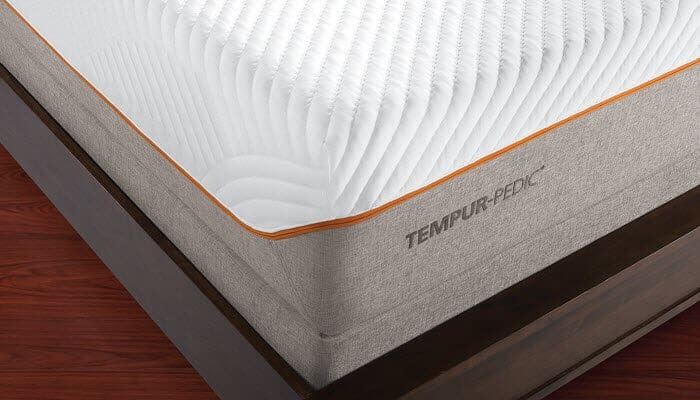 Tempurpedic is the Godfather of foam mattresses – as a company it has been successfully selling foam mattresses for 25 years – it first opened its doors in 1992. Tempurpedic also happens to be one of the most expensive foam mattresses on the market, but this hasn’t damaged its position as king of the foam industry. On the other hand, Leesa is a relatively new entrant to the foam market sphere. The company has been selling its mattress for about a few years now – it aims to provide its customers with the ability to purchase foam mattresses at an affordable price. After reading this review, you should have all the information you need to decide on which mattress is best for you and your home. The Tempurpedic mattress started the foam mattress industry. As mentioned previously, it was started 25 years ago – it has become a household name in the United States. Unlike Leesa, Tempurpedic is featured in showrooms around the country. They have both local distributors and an online store. On top of mattresses, they also produce mattress toppers and pillows. 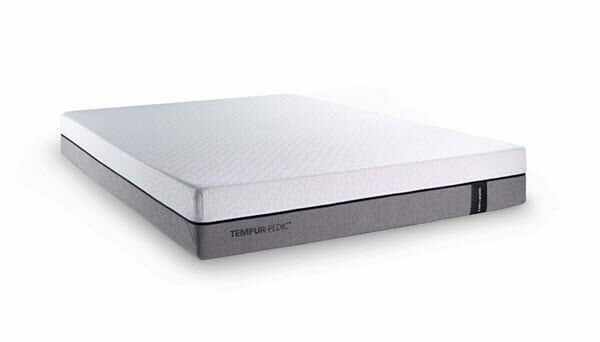 If you’re looking for a truly luxurious mattress, the Tempurpedic Cloud is their signature mattress. It has been one of the most popular high-end mattresses in the United States ever since its inception. If you order a Tempurpedic, your delivery will be sent to you free of charge. In addition, you’ll get 10-year warranty which is pretty standard in the industry. Unlike most online mattress distributors, you can’t return the Tempurpedic once you buy it, but you can exchange it for another mattress is you pay a restocking fee. You have to do this within the first 30 days of ownership. The one plus is that you can go check out the Tempurpedic in stores before you purchase it. The Tempurpedic Cloud is constructed using four different layers. Each layer is intended to make the Cloud as luxurious as possible. It is 11.5” in total – making it one of the thickest mattresses on the market. A full explanation of each layer and its purpose is provided below. As with any top layer, the Tempurpedic top layer prioritizes comfort. They use a visco-elastic memory foam that they have become famous for – it’s one of the most comfortable materials you’ll find in a mattress. This material provides hug and contour around your body that makes you feel like you’re sleeping on a cloud. This layer is 2” thick. This layer is also 2” thick and made from the same visco-elastic memory foam – except this foam is slightly denser. It provides a bit more support and resistance than the top layer of the mattress. 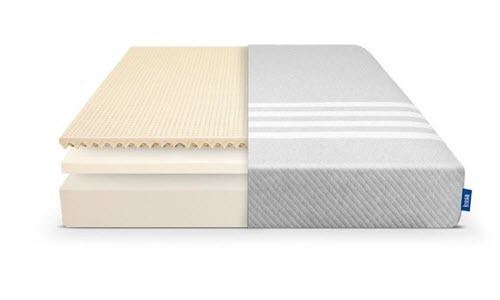 This layer is 4” thick – it’s made from polyurethane foam – this is effectively a transition layer that helps the mattress have a buffer zone before it reaches the base support layer. This layer is 3.5” thick and is a polyurethane foam – this is the sturdiest part of the mattress – it’s extremely dense. This provides the majority of the support for the mattress. The design of the Cloud is extremely advanced – hence why it has become one of the most popular mattresses on the luxury mattress market. It isn’t just the mattress that is advanced, the Cloud also uses a unique blend of polyester and spandex to create their mattress cover. This gives the cover both a thin and elastic feel – which is great for those who want to be able easily wash their cover. It’s also extremely durable and allows you to fully experience the mattress itself. The minimalist design of the cover is intentional – it doesn’t distract from the texture of the mattress. As you can probably tell from the rest of this review, the Cloud is extremely comfortable. There is a reason this mattress is considered the best of the best when it comes to memory foam mattresses. In terms of support, the Cloud comes in at a 5/10, which is right in the middle of the pack in terms of firmness. If you don’t like this support, there are plenty of other Tempurpedic mattresses – these mattresses range from 3/10 – 9/10. In terms of heat retention, memory foam is well known for retaining too much heat. Fortunately, the Cloud does a great job of mitigating this through their hybrid memory foam, though it still does retain a bit of heat. One thing that you might really like about the Cloud is the minimal motion transfer it has. Meaning that if movement occurs on one part of the bed, it won’t occur on many other parts of the bed. This is great for people who have restless partners – if they move in the middle of the night you won’t ever be woken up. 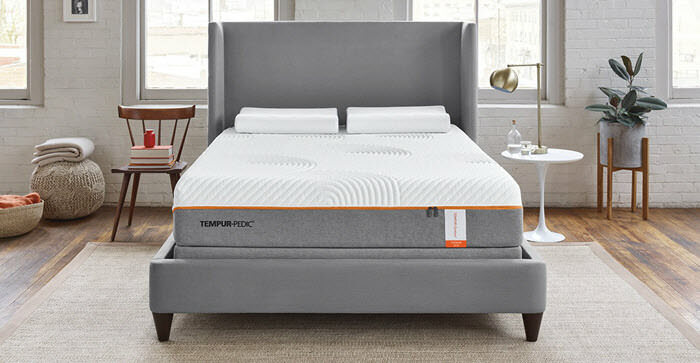 Trial – Tempurpedic offers a 30-night trial, which is much shorter than most other mattress companies. They also don’t allow for refunds or returns, only exchanges, which is also different from many of the other memory foam mattress retailers operating today. Like many of the online foam mattress companies that have entered the market in recent years, Leesa has seen an opportunity to provide quality foam mattresses at much more affordable prices. 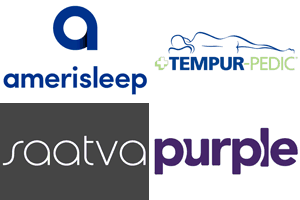 It’s only recently that these companies have made headway in the industry – beforehand, getting a foam mattress was almost impossible for someone without a ridiculous budget. Leesa has managed to make a considerably comfortable mattress. All Leesa mattresses are manufactured in the United States. If you do buy a Leesa, there are a few added benefits that you’ll receive with your purchase. You’ll be getting free shipping on any mattress you order, as well as a 10-year warranty on your purchase. You’ll also be able to return your mattress for a full refund within the first 100 days of your purchase. The Leesa mattress construction is slightly different to that of the Tempurpedic – it is not as advanced. They use a three-layer system to provide a combination of comfort and support. Additional information on the mattress and its support system is provided below. Avena foam is used to construct the top layer of the mattress – this is a foam that is created and used exclusively by Leesa. You’ll find that it is quite similar to latex, but has a few added benefits to make it more breathable. It is 2” thick. This portion of the layer provides the comfort to the mattress. This layer is also 2” thick, but it’s made from memory foam. Because memory foam can often retain heat, Leesa has used this as the second layer to ensure that the mattress is more breathable. 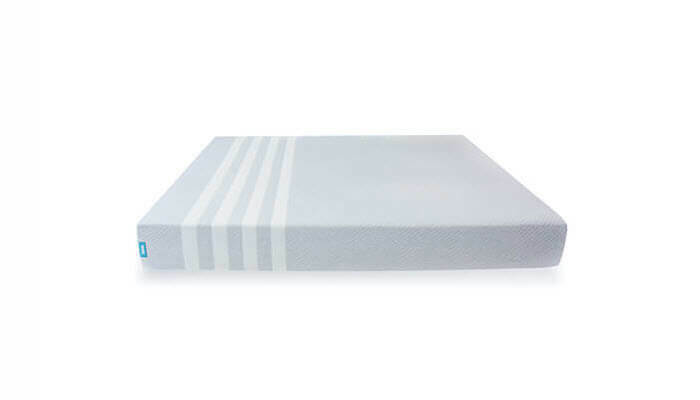 This layer provides the foundation for the rest of the mattress – it is intended to be the support system of the mattress. This portion is 6” thick – it is constructed using highly dense foam. This foam is also designed to be breathable in order to keep heat retention down. As you can see, the Leesa mattress uses for three layers instead of four. The overall design is not advanced, but this is expected considering the price tag is drastically lower. This being said, the Avena foam that Leesa has designed and employed in this mattress is truly an innovative piece of material. It does a great job of keeping down heat retention without making any sacrifices on comfort. The mattress is also very thick, which means that you’ll be getting a broad range of additional benefits from all the materials that have been used. As with many foam mattresses, the Leesa mattress cover is fairly basic. In fact, it is even more basic than some of the other covers you’ll see. It is made from a single fabric consisting of a polyester-lycra blend. It is a wonderfully durable material that adds a bit of extra support to the mattress. The one downside of the Leesa mattress cover is that it is very thick. Some people may like this, but it actually reduces the interaction that you have with the mattress, which is a shame because of how nice it is. The Leesa may be a bit more basic in design but it is certainly still a very comfortable mattress. It has a great review base with its clients – you can find endless positive comments about the mattress online. It also has a great reputation for being breathable, which is an awesome attribute for a foam mattress. The Avena foam used in the mattress is raved about by many Leesa owners. In terms of support, the Leesa is slightly firmer than the Tempurpedic mattress – it scores a 6/10 on our mattress reviews. Despite the fact that the mattress is very thick, it is not made for extremely heavy sleepers. This mattress has the perfect support for average sleepers. If you’re really light you’ll probably enjoy this mattress too because it doesn’t create too much resistance. Having an extremely supportive mattress if you’re very light can result in pressure points annoying you. The first decision you will have to make when comparing these two mattresses is the price that you’re willing to pay. For many people, a Cloud will simply be too far out of their budget. This is understandable, they are one of the most expensive mattresses available. They’re the reason that Leesa and other mattress providers have been able to make so much headway with their low-price models. In terms of comfort, there is no doubting that the Tempurpedic is superior – they use extremely advanced manufacturing techniques to create their mattresses. Their four-layer system is much more comfortable than almost any mattress in the world. This being said, the Leesa does offer a bit more support – if you need a mattress that’s a little more firm, you may prefer the Leesa. 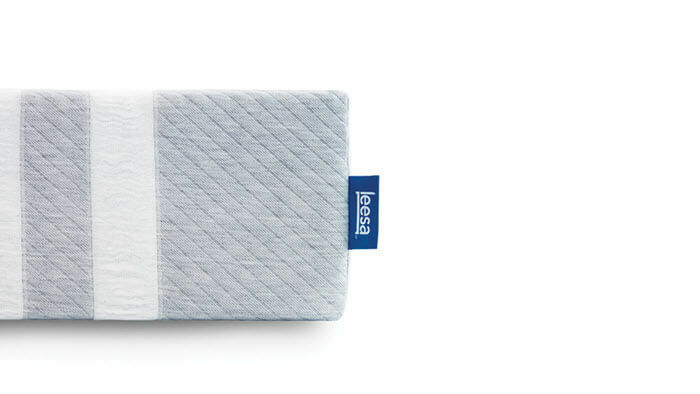 The Leesa also does an awesome job of preventing heat retention, which is a huge bonus if you often find yourself overheating in the middle of the night. The Tempurpedic isn’t an overly hot mattress, but it is most definitely warmer than a mattress like the Leesa. Remember, you can go into showrooms in almost any city in the country and try out a Tempurpedic. If you do think the Cloud is right for you, make sure to do this as there are no full refunds available after purchase.